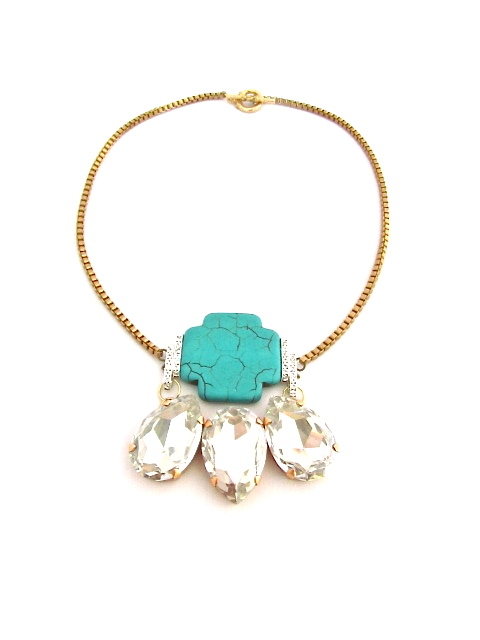 Ultra-wearable elegance that brings turquoise to tears. Measures approximately 53 cm (20.9 "). 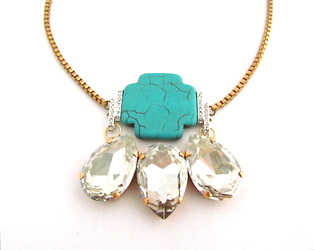 Embellished with Swarovski crystal, turquoise semi-precious stone cross. 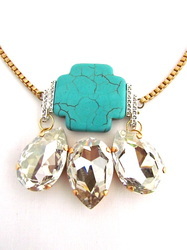 Finished on gold plated chain.